Ever heard about the benefits of the spice cinnamon? When we say benefits, we are talking about the number of ways eating cinnamon can help you prevent diseases. Researchers have found out how this particular spice can be used to block certain diseases right when they are in their first stages. Take a look at some of the benefits cinnamon has to provide!! Cinnamon may be used to halt the progression of Parkinson’s Disease !! Researchers have found that cinnamon, a common food spice, and flavoring material, can reverse the biomechanical, cellular and anatomical changes that occur in the brains of mice with Parkinson’s Disease PD. Going Nuts !! Health benefits of consuming Nuts !! Cinnamon has been used widely as a spice throughout the world for centuries This particular spice could also be one of the safest approaches to halt disease progression in Parkinson’s patients. Cinnamon is metabolized in the liver to sodium benzcoate, which is an FDA-approved drug used in the treatment for hepatic metabolic defects linked with hyperammonemia. It is also widely used as a food preservative due to its microbiocidal effect. 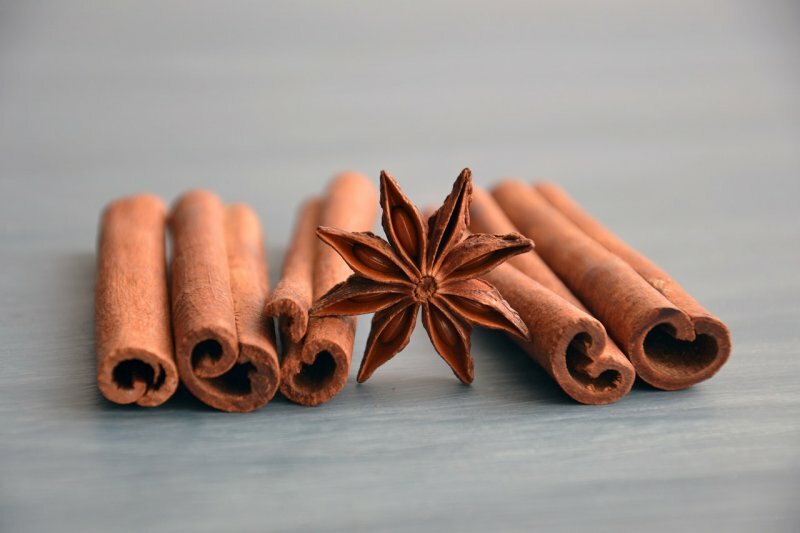 Although both types of cinnamon are metabolized into sodium benzoate by the process of mass spectrometric analysis, it was observed that Ceylon cinnamon is much purer than Chinese Cinnamon as the latter contains coumarin, a hepatotoxic molecule. Researchers say that it was important to understand how the disease works as it was important to develop effective drugs that protect the brain and stop the progression of Parkinson’s Disease. Previously it was known that some important proteins like Parkin and DJ-1 decrease in the brain of PD patients. Studies found that after oral feeding, ground cinnamon is metabolized into sodium benzoate which then entered into the brain and stopped the loss Parkin and DJ-1 by protecting neurons, normalizing neurotransmitter levels and improved motor function in mice. What is the Parkinson’s Disease? Parkinson's disease is a slowly progressive disease that affected a small area of cells within the midbrain also known as the substantia nigra. The gradual degeneration of these cells causes a reduction in a vital chemical transmitter called dopamine. Resting tremor on one side of the body. While the cause of the disease is still unknown, both environmental and genetic causes of the disease have been theorized. Parkinson’s disease is known to affect both 1.2 million patients in the United States and Canada. Although 15 % of patients are diagnosed before the age of 50, it is generally considered a disease that targets older adults which affects one of every 100 individuals over the age of 60. The disease is also known to affect men slightly more than women. Garlic can help improve body problems !! Health Benefits of having Yogurt !! Cinnamon extracts may reduce the risks of Diabetes and Heart diseases !! A researcher found that a water-soluble extract of cinnamon, which contained anti-oxidative compounds, could help reduce risk factors linked with diabetes and heart disease. Twenty-two obese participants with the impaired blood glucose values- a condition which researchers termed as pre-diabetes, volunteered for the twelve-week experimental research study. Pre-diabetes was known to occur when cells are resistant to the higher than normal levels of insulin that was produced by the pancreas. This was done in an attempt to help remove the elevated glucose levels from the blood. The participants were divided randomly into two groups and were given either a placebo or 250 milligrams of a dried water-soluble cinnamon extract twice daily along with their usual diets. Blood was collected after an overnight fast at the beginning of the study after 6 weeks, and then after 12 weeks to measure the changes in blood glucose and antioxidants. The study demonstrated that the water-soluble cinnamon extract improved a number of antioxidant variables by as much as 13 % to 23 %, and improvement in antioxidant status was correlated with a reduction in fasting glucose. Researchers conclude that further research is required so as to tell whether the investigational study supported the idea that people who are overweight or obese could decrease oxidative stress and blood glucose by consuming cinnamon extracts that have been proven safe and effective. At the same time, weight loss still remained a primary factor in improving these numbers, according to scientists. The study was carried out by Tim N Ziegenfuss, now with the Center for Applied Health Sciences based in Fairlawn, Ohio. Cinnamon can help fight obesity!! According to a research study, adding cinnamon to your diet can help fight obesity. Scientists had previously found out that cinnamaldehyde, an essential oil that gave cinnamon its flavor, appeared to protect mice against obesity and hyperglycemia. However, the mechanisms underlying the effect were not well understood. Olive Oil and its Health benefits !! They also observed an increase in Ucp1 and Fgf21, which are important metabolic regulatory proteins involved in thermogenesis(a process in which fat cells start burning energy). Adipocytes normally store energy in the form of lipids. However, this long term storage was beneficial to people who lived years ago(more like our ancestors) who had very less access to high-fat foods and thus a much greater need to store fat. The fat could then be used by the body in times of scarcity or in cold temperatures, which induce adipocytes to convert stored energy into heat. According to researchers, energy surplus has only become a recent problem. Whereas throughout the history of evolution, the opposite was the case, where energy deficiency was the real problem. So any energy consuming process usually turned off the moment the body doesn’t need it. What do the researchers have to say? According to one researcher, obesity was arising epidemic and all this time they were looking for ways to prompt fat cells to activate thermogenesis, by turning the fat burning processes back on. Cinnamaldehyde may offer one such activation method. And since it is already used widely in the food industry, researchers think that it might be even easier to convince patients to stick to a cinnamon-based treatment than to a traditional drug regimen. As cinnamon has been a part of the people’s diets for thousands of years, people generally enjoy it. But researchers, on the other hand, are trying to find out whether this spice could actually help protect the body against obesity too. And if it does, it could be an approach to metabolic health that is easier for patients to adhere to. However, researchers also warn that people shouldn’t start dumping tons of extra cinnamon in their diet hoping that they are now completely safe from ever gaining some extra few kilos. A further study is still needed to determine how it was best to harness the power of cinnamaldehyde’s metabolic benefits without causing adverse side effects. The study was carried out by a team of researchers from the University of Michigan.